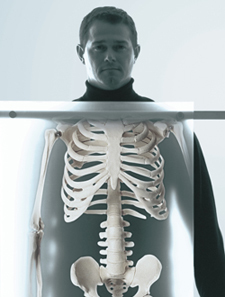 Rather than lying down, we want X-ray views showing your body in a weight-bearing position. Interestingly, X-rays were discovered soon after the first chiropractic adjustment in 1895. Wilhelm Roentgen, a German physics professor, was experimenting with cathode ray tubes and discovered that an object across the room began to glow. Much to his surprise, when he placed his hand between the tube and the glowing barium screen, he was able to see the bones of his hand. 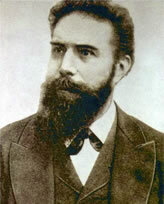 Wilhelm Roentgen won the Nobel Prize for Physics in 1901 for the discovery of the X-ray. From those crude beginnings over a century ago, both chiropractic and X-ray imaging have come a long way. Today, the chiropractic profession is a leader in the reduction of X-ray exposure and client safety.